If you are thinking “that didn’t take long”, you are correct. We are trying to out do Rocky and Rambo with our next sequel in the custom painting series on the Rightline Gear Jeep Build. Besides an occasional hallucination from breathing the fumes, the painting on the Jeep has been extremely fun and usually provides an instant jolt of satisfaction and accomplishment. 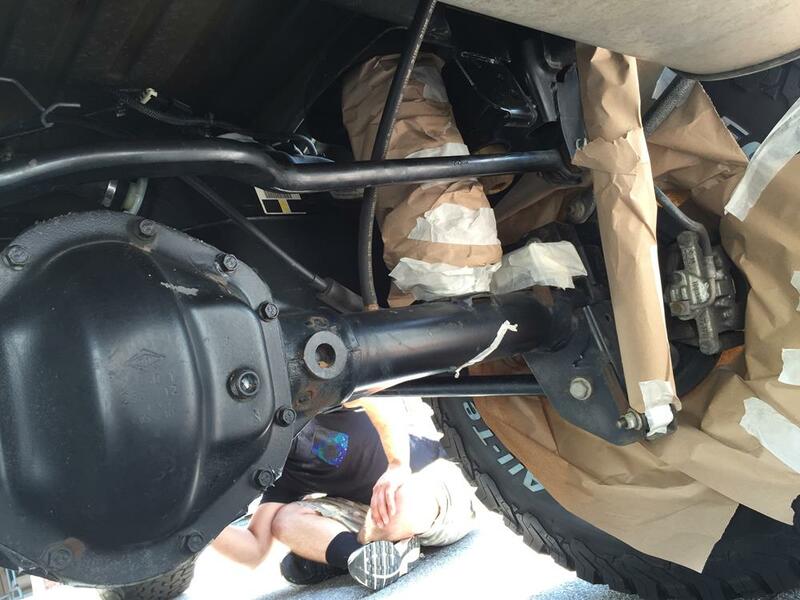 Custom Painting Part 3 has us tackling the underside of the Jeep. Let’s face it, I am starting from the back of the pack with a 2013 Wrangler, that is my daily driver, and will be driven from Asheville, NC all the way to Las Vegas, NV at the start of the SEMA Show. 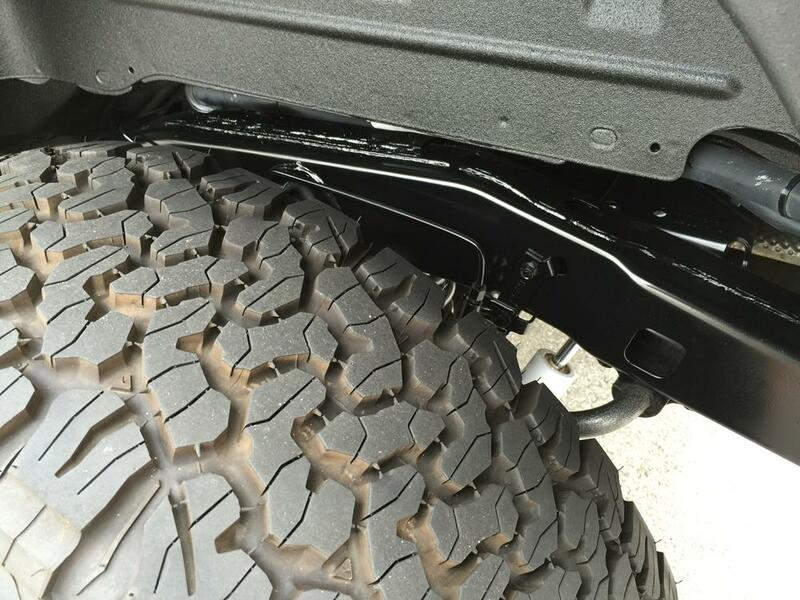 Many Jeeps on display will be 2015 models, hardly driven, and carried out to SEMA on the back of a truck. We are up for the challenge, though, in Custom Painting Part 3! Victor Golden, Rightline Gear’s Warehouse Manager, prepped the vehicle by taping kraft paper over all pieces that were to be left unpainted. 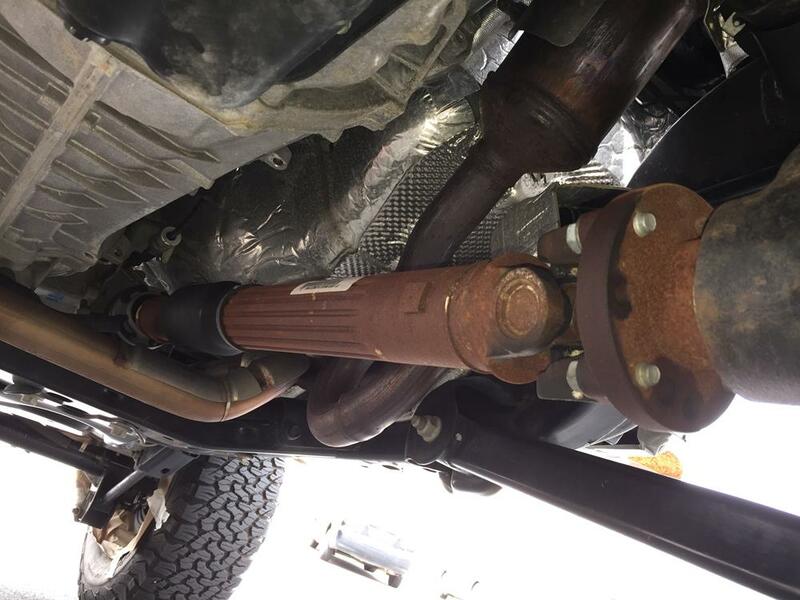 The underside of my Jeep had some unsightly rust, especially on the drive shafts. 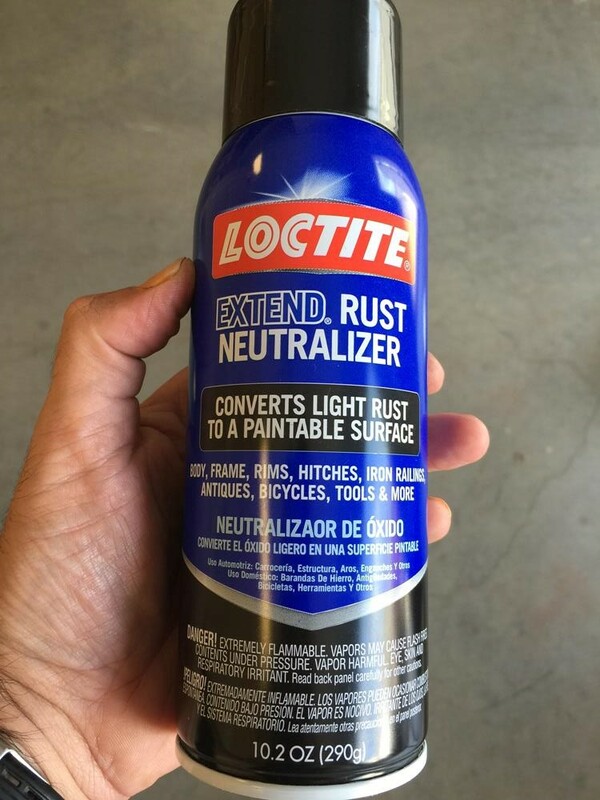 I found a product to tackle the rust head on, Loctite’s Extend Rust Neutralizer. The neutralizer acts as a primer, converting rust to a neutral surface, ready for painting. It goes on milky white, almost clear, and dries in just a few minutes. 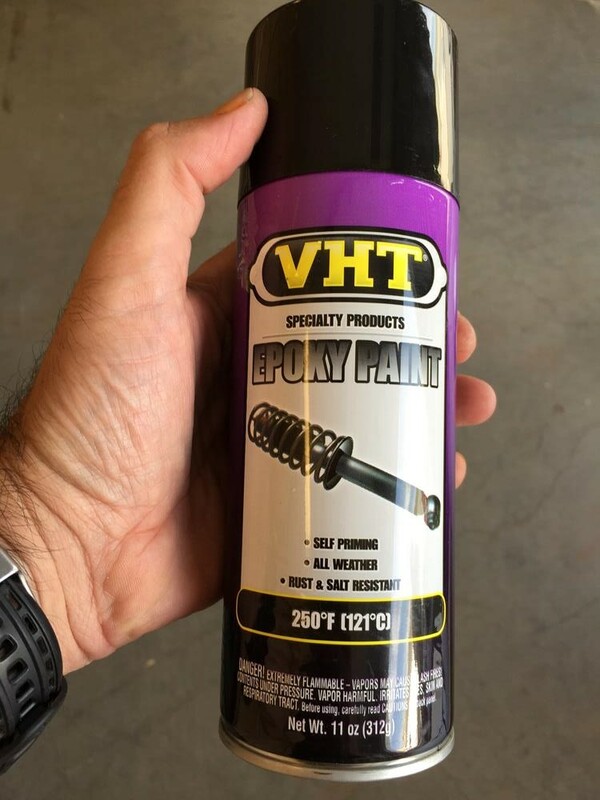 After treating the rusty areas, Victor went at it using VHT’s Epoxy Paint. This paint includes a primer for the non-rusty areas, so we were able to knock off a step – Hooray! We test painted a few spots and were concerned that the paint would dry too shiny. 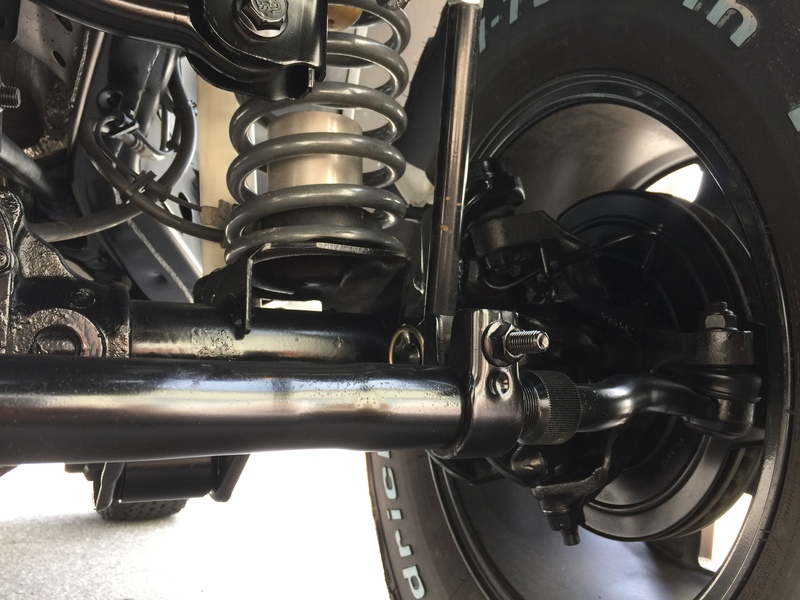 We were pleased to find, however, that the paint dried to a super deep black color that had just the right amount of shine. I would best describe it as a satin finish. 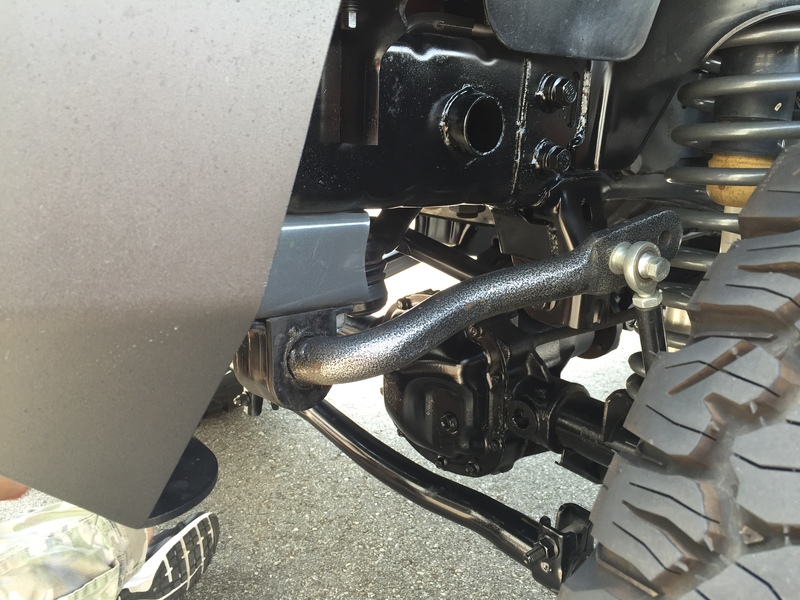 The paint made such a difference to the appearance of the Jeep, we decided to coat everything that we possibly could. When in doubt, spray it! Victor even painted the rotor covers. 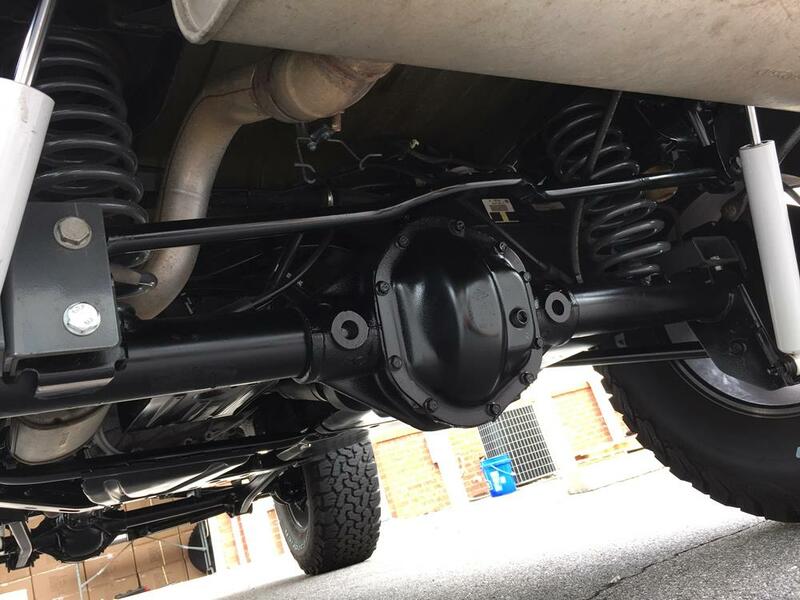 Even the differential covers and axles looked great after our (2) coats of painting. 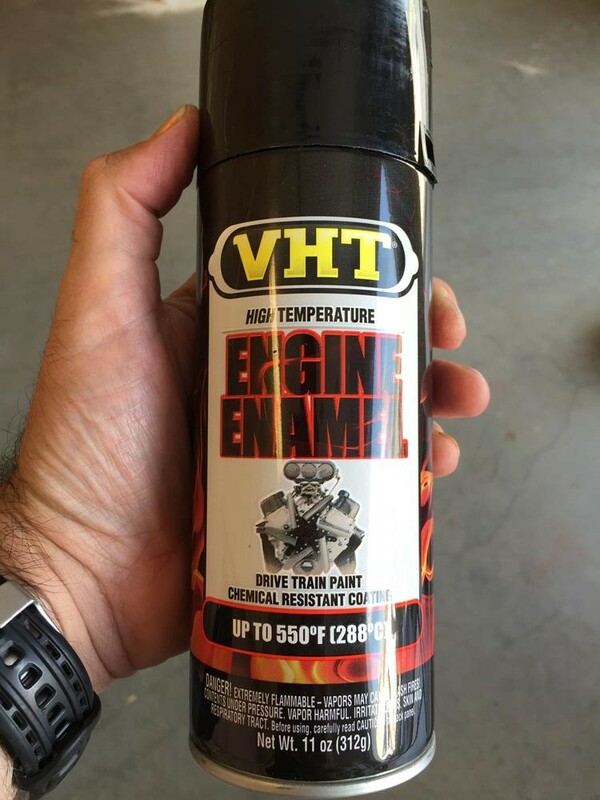 We also purchased some of VHT’s Engine Enamel, high temp paint. We want this one in our bag of tricks should any area of the under carriage turn out to be too hot for the standard paint. 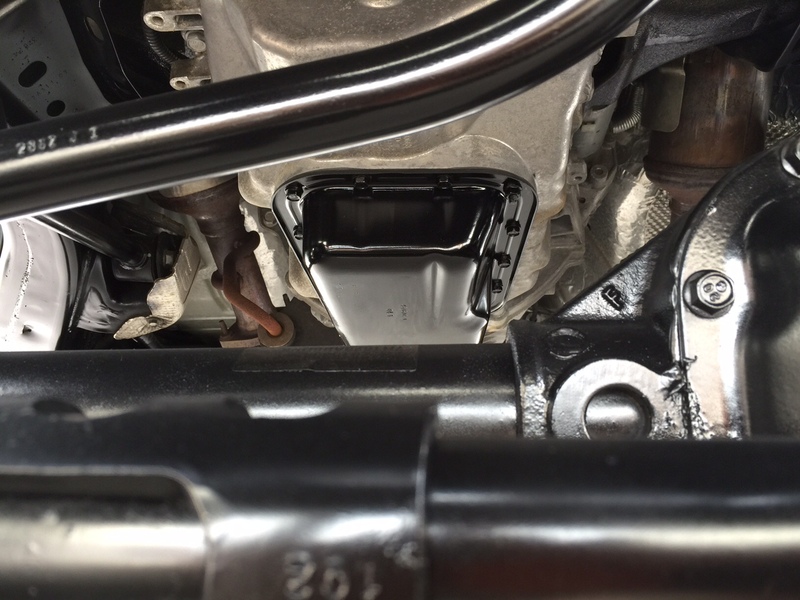 In our initial painting extravaganza, Victor painted the oil pan cover with the Engine Enamel – looks sharp! 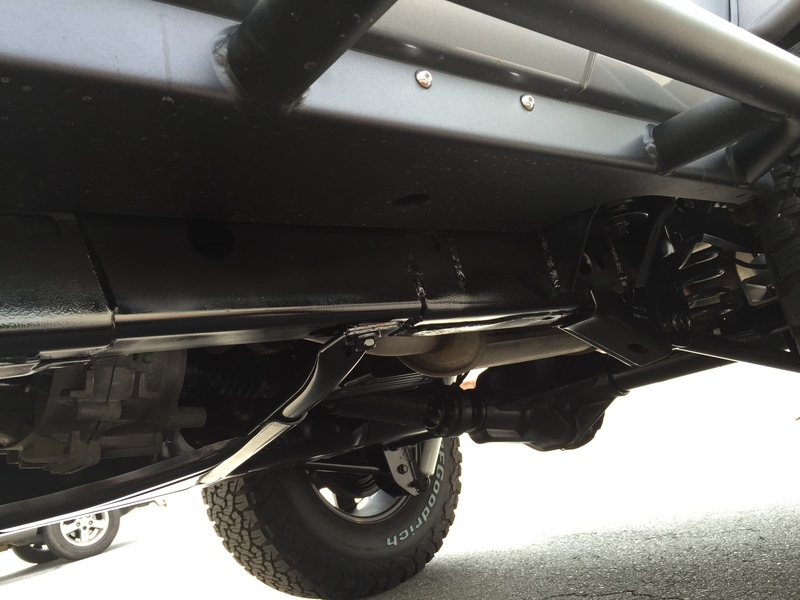 We think the underside of the Jeep is now pretty intimidating and definitely a far cry from where we began. Our plan is to crawl under the Jeep in a few weeks to see how the paint job is holding up. We can touch it up again if necessary before departing on our epic drive to SEMA and maybe even one more time after arriving in Las Vegas. I think we have painted every thing in site on this Wrangler, but my mind is still turning. There may still be a Custom Painting Part 4 yet – we’ll see!